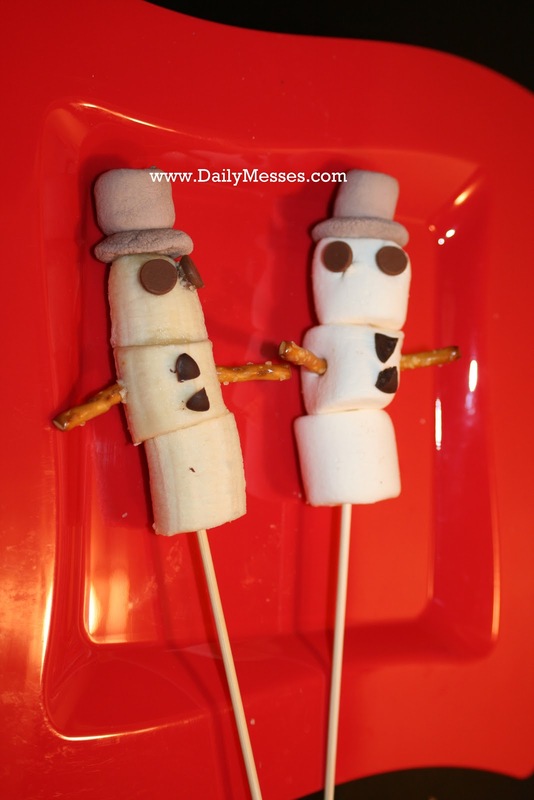 My kids love marshmallows and I thought they would make the perfect winter time snack...as snowman! 1. Place three marshmallows onto the top of a skewer. 2. Cut the bottom of a chocolate marshmallow and flatten to form the hat rim. Attach rest to the marshmallow to finish that hat and place on skewer. 3. Stick in pretzel sticks and chips for eyes and buttons. DM Alternative: Chunks of banana works well for a healthier alternative for the snowman!